A delicious and extensive barbecue with 7 types of meat. Of course complete with starter and all garnishes. At only €25.00 per person. Can be booked for 4 or more people. Nice weather or not, you can always barbecue with us. Meat from the traditional butcher including starter. At only €21.50 per adult! Table grill with your family or company. It could not be more fun! Including starter, meat, fish, salads and fries (for 2 people or more). At only €21.50 per adult. 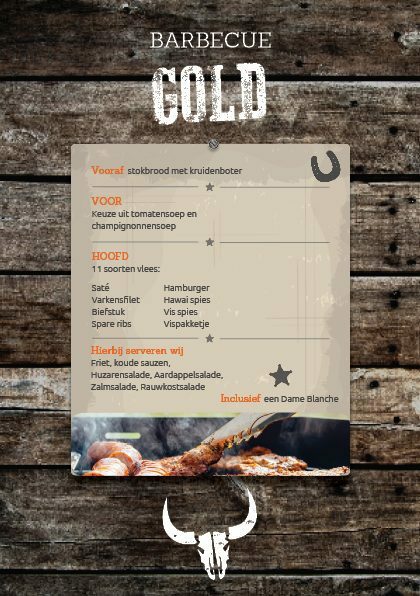 Book your BBQ in Voorthuizen online!